RED CONATY signed his first pro contract in late January of 1922, a few weeks before his eighteenth birthday. He joined the Ware, Massachusetts team in the Interstate League were he created an immediate sensation by leading all scorers during the second half of the season. The teenager was quickly signed to a contract for the 1922-23 seasons, with his hometown Brooklyn Visitation. It soon became apparent that Conaty was not going to duplicate the his first season scoring heroics in the tougher Metropolitan League. While Conaty never did become a top-ten scorer again, he was in fact a talented and valuable addition to the Visitation who were just entering their most successful years. He was agile, fast, handled the ball well and was equally comfortable playing forward or guard. During his six seasons with the Visitation, the team won three championships. 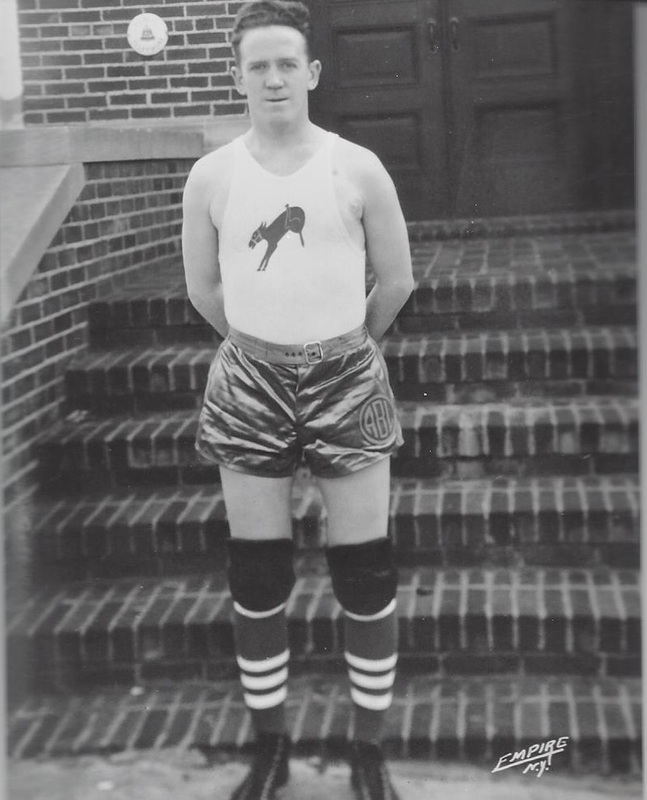 At the beginning of the 1930-31 season, Conaty was a victim of a new America Basketball League rule that forced every team to add at least two rookies to their roster. Conaty, still in his prime, lost his job to his younger brother, Frank. Conaty continued to play professionally for another five seasons, but never recaptured the spirit of his great days with the Visitation.